Ships today if you order in the next 14 hours 42 minutes. Looking for a way to get a large dose of Vitamin C in your system - but you want to avoid the potential for digestive distress? Allergy Research offers a powdered form of ascorbic acid that also includes carbonates of magnesium, calcium and potassium. These minerals help buffer the acidity of Vitamin C in your stomach - making it an ideal choice if you've experienced issues in the past. 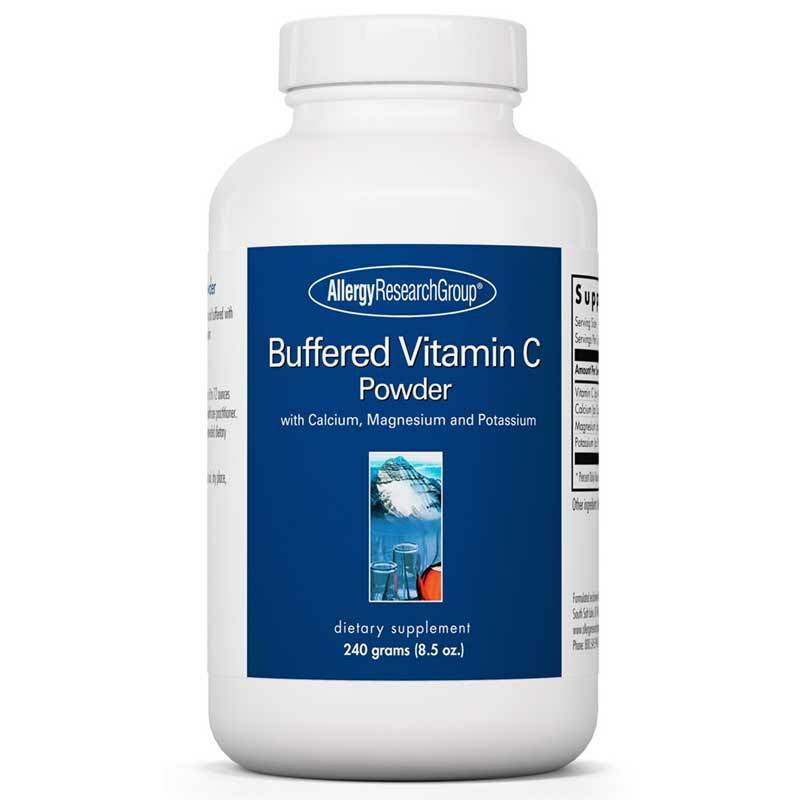 Buffered Vitamin Powder from Allergy Research Group is highly pure, all-natural ascorbic acid. Developed by Stephen A. Levine, Ph.D.
Vitamin C is a potent antioxidant that can counteract free radical damage in your body. It may also boost your immune system, and has been shown to reduce symptoms of the common cold. 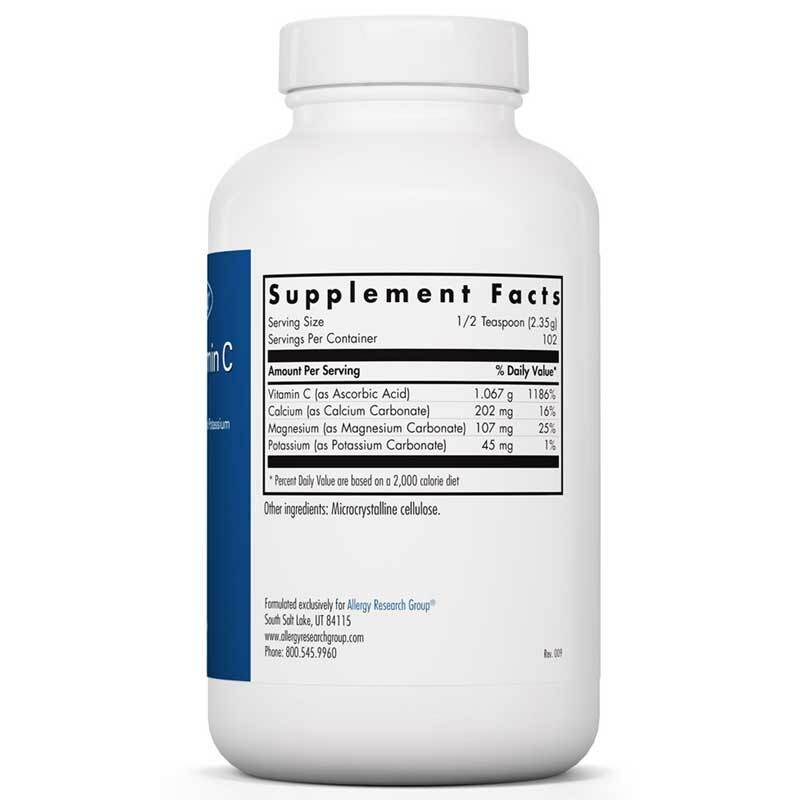 Whatever reason you need Vitamin C - you can trust that the nutrients in this supplement are high-quality and pure. It contains no preservatives, diluents, or artificial additives. 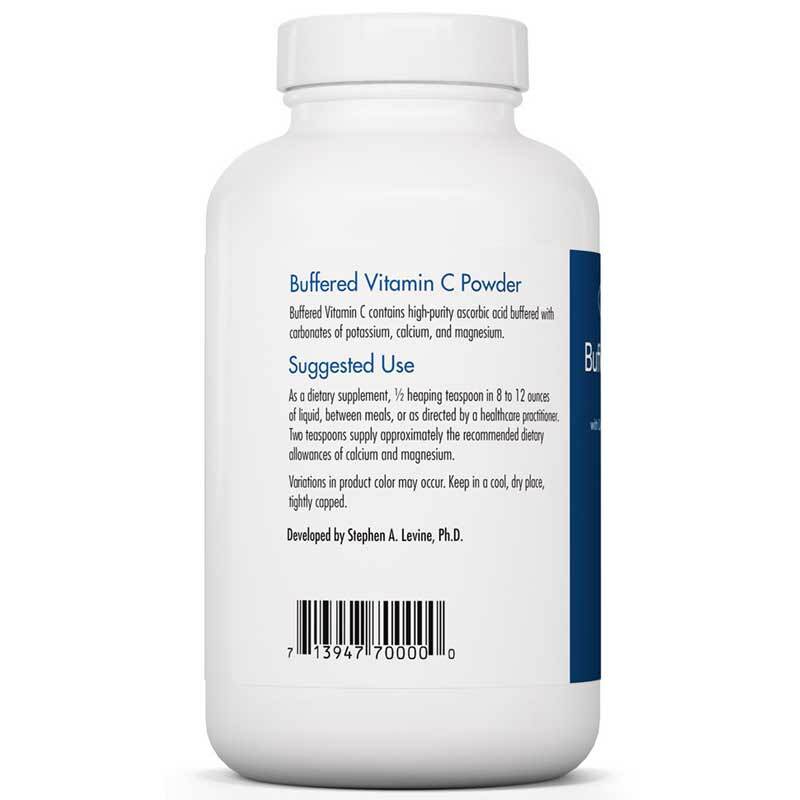 Get your own Buffered Vitamin Powder today! Great product that I was getting from my doctor but I can get here for much less!